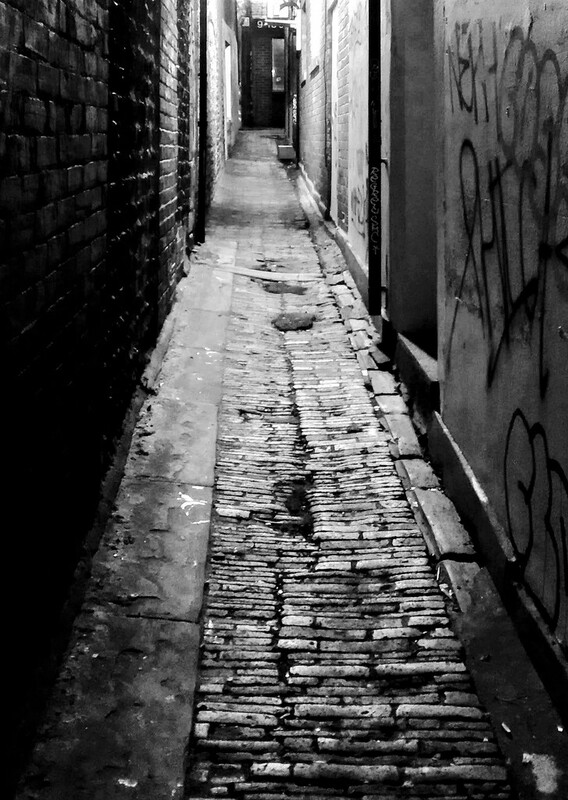 Brighton is full of twittens - dark narrow passageways that run between buildings. I like the word twitten. They are dark and narrow indeed, well captured. I've been more used to leafy green twittens when I lived in Surrey :) Love the word in any case. I wouldn't fancy walking down here at night. Great shot, really like it in b&w. Fav! Very eerie. I have never heard the term twitten before. Wonderful pov and leading lines. This is beautiful and moody. I love these types of alley ways. All sorts of photographic potential in the old pathways! Good for portraits, too! Great range of tone. Love all the detail. Twitten is a new word to me..the light and shade is wonderful. @overalvandaan @spanishliz @graemestevens @onewing @chrisiow @jacqbb @awendes @anniesue @henrir @paul10 @jernst1779 @jenp @mwhipple @rosie00 @seattlite @bigmxx Twitten is an old Saxon word - possibly derived from betwixt or between. There are a lot of these alleys in Brighton but I don't tend to venture down them at night! Thank you for all your kind comments and favs - this photo got a better response than I was expecting! I hope most of them are as well lit as this one is, because if not, seems like a prescription for trouble. @ggshearron This is a shortcut to one of the city car parks. Not all are as well lit and, unfortunately, even those that are can still be hotspots for street crime even during daylight hours. This shot was taken from a busy street at the entrance to the alley. I'm not brave or foolhardy enough to venture down them at night.